Ready to renovate! Spacious 1B/1.5BA with expansive water views in highly sought after Belle Plaza on Belle Isle. Look out your window & enjoy the bay, cruise ships, port of Miami, the ocean and more! Newly renovated hallways in full service building with gym, pool/hot tub, BBQs, tennis court, bike & paddle board storage, docks, assigned parking & 24 hr security. 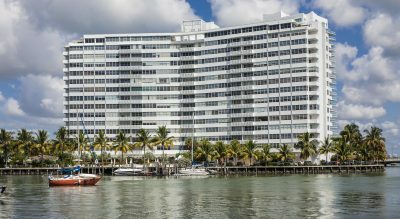 Walk to Standard Hotel, Sunset Harbour, Lincoln Rd or stroll down the Venetian Causeway.